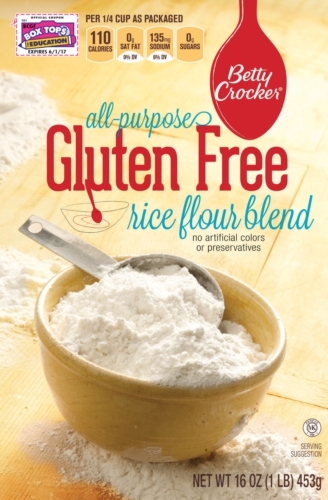 On my last hunt through our local Grocery Outlet store, I saw a display of Betty Crocker Gluten-Free Rice Flour Blend. for the crazy price of $1.69. Remember my blathering on recently about my love of skulking around bargain grocery stores? 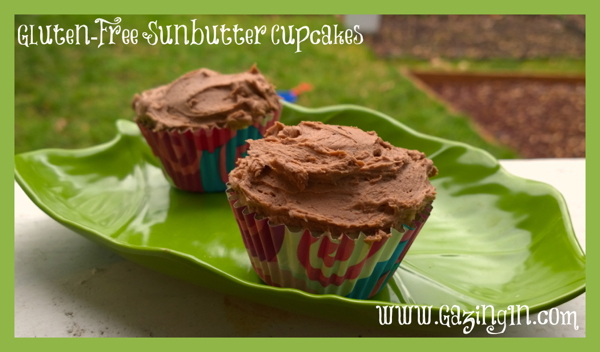 It pays off when I find niche products for gluten-free, organic and natural foods…. would work. I was right. As long as I keep the replacer light (no heavy flax seed, tofu, applesauce or such) it will produce a light textured treat. 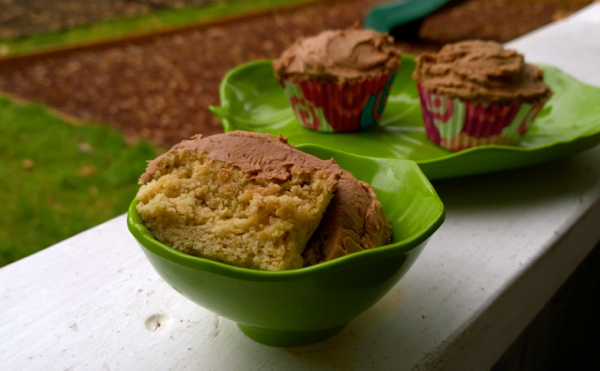 Fun to play with and it led to these tasty cupcakes…. in each of 12 regular-size muffin cups. This recipe works equally well with traditional paper liners as the premium easy-release foil ones. In medium bowl, whisk flour blend, baking powder, xanthan gum and salt; set aside. Combine Ener-G and warm water in a bowl, whisk until smooth, let sit while prepping the next step. In a stand mixer bowl, beat granulated sugar, shortening, Sunbutter and vanilla on medium speed about 3 minutes or until light and fluffy. Add Ener-G mixture, half at a time, beating on medium speed 1 minute after each addition. On low speed, beat in dry ingredient mixture alternately with coconut milk, beginning and ending with dry mixture. Divide batter evenly among muffin cups, an ice cream scoop or fisher helps, batter will be very thick. Smooth tops of batter in cups with wet fingers. Bake 20 to 24 minutes or until toothpick inserted in center of cupcake comes out clean. Cool 5 minutes in pan; remove from pan to cooling rack. Cool completely before frosting, about 30 minutes. In large mixing bowl, beat shortening and chocolate with a hand mixer until blended. Add powdered sugar and vanilla, beat on low until mixed in. Add half the coconut milk, beat in and add as much as needed until frosting is smooth and spreadable. To melt the chocolate chips, microwave in 15 second bursts, stirring until smooth. For a bit of texture, leave the chocolate slightly lumpy, it will leave spots of chocolate in the frosting.